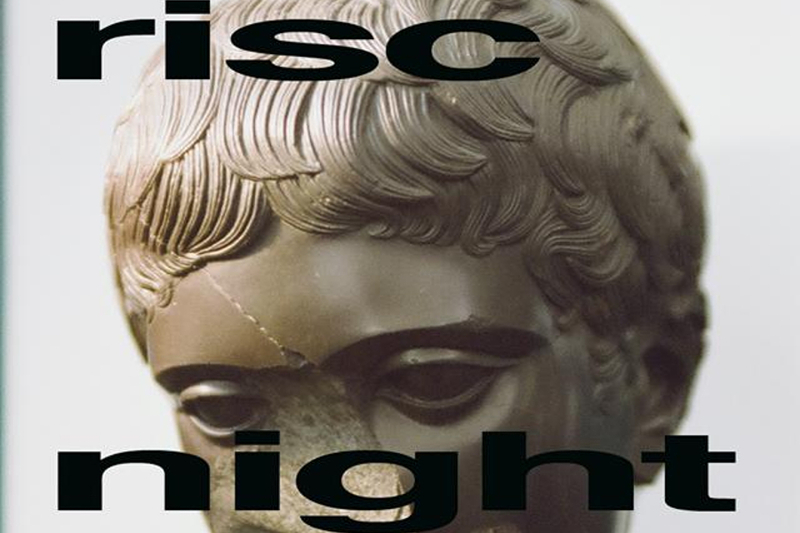 RISC Night #3 returns to Kreuzberg this Friday with a packed lineup featuring solo sets by both members of Mouse on Mars, as well as a performance by Thomas Mahmoud’s Higg’s project and many more. Jan St. Werner is a critically acclaimed and internationally recognized sound innovator. In a myriad of ways – as a solo artist, a collaborator, through his group Mouse On Mars, as a producer, as a lecturer at MIT, or as a professor of Dynamic Acoustic Research at the Academy of Fine Arts, Nuremburg – Werner has challenged traditional approaches to creating and experiencing music. The sixth installment of his Fiepblatter Catalogue series, Glottal Wolpertinger, endeavors to transcribe the phenomenon of sound as anarchic and highly sensitive material. His multilayered presentation of the project highlights the ways in which sound and music can fluctuate and re-constitute depending on context all within one consistent work. In keeping with the series’ collaborative nature, the pieces include contributions from guitarists Aaron & Bryce Dessner of The National, who Werner also collaborated with on Mouse On Mars’ Dimensional People, and The National’s Sleep Well Beast and I Am Easy To Find. Infinite Greyscale release Damn Lieu Lit, a new 10″ recording by Andi Toma, also known as one half of electronic music pioneers Mouse on Mars. Following on from the band’s percussive masterclass, Lichter (also on Infinite Greyscale) and their ambitious 2018 album Dimensional People (Thrill Jockey), Damn Lieu Lit sees Toma going it alone in an exploration of off-kilter rhythms and extraterrestrial sounds. From an opening of bird song an inorganic structure is assembled; and with the stage constructed, the performance begins. What follows is a deep and engrossing exploration of an alien ethnography. Within a frame of hypnotic rhythms Toma traverses sounds and rituals to reveal field recordings from another planet. Higgs’ compositions are extremely precise. They build highly charged tension between strict control and escalation: this is music full of contrasts and confrontations – aggressive, fast, abstract, and without the need to tell a story, it derives its ideas solely from its own substance. A unique musical language composed of e-music, grind-core, and power electronics, recorded on planet Mars, on the rooftops of collapsing buildings. Thomas Mahmoud and Michael Wertmüller’s diverse musical backgrounds complement each other in Higgs, where they are fused into an extraordinarily explosive mix of uncompromised white noise, super fast bass riffs, hard cuts, and extreme contrasts. Speed-metal and grind-core elements meet free jazz und power electronics.